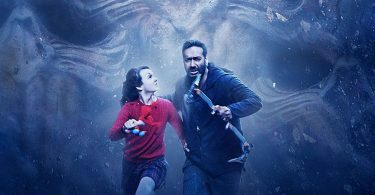 The much-awaited trailer of Ajay Devgn’s Shivaay is finally out. Watch the trailer and tell us what you think in the comments section below. The film releases in theatres on October 28, during the festive weekend of Diwali. Superb! ADHM toh gaya kaam se! Shivaay will be one of the biggest grosser of the year, for sure. Very good trailer one thing is very good story under the wrap . Shivaay this Diwali Har Har Mahadev . Shivaay will be among top 3 highest grosser of the year. Smashing and magnificent trailer !!!! Ajay is looking at his intense best. That intense stare which he gives at the beginning of trailer just say it all. Mountain sequences are breath-taking. Action scenes look awesome. The makers wanted the action standards to be of highest quality and for me they have done a brilliant job there. Ajay and the team have really upped the bar in this movie for which they deserve praise. The good part is they have not given away the plot in the trailer. Even the look of villain has not been clearly shown at the end. Back ground music is fabulous. Ajay speaking those dialogues in the back ground just makes it even more impactful. Yesterday I read a tweet of Ajay in which a fan told him about a number of students giving an exam today. Ajay responded and tweeted : “Kal aap ka bhee exam hai aur humaara bhee. I wish you luck and you wish me luck”. As an actor and a superstar, for me, there remains absolutely nothing for him to prove after all these 25 years. For me, him calling it an “exam” had only to do with his big role as a director. Plus he has invested so much in this movie for the last 2 years which makes this movie all the more important for him. From the look of the trailer I feel he has passed his “exam” with more than flying colours. Looks to be an amazing and interesting movie but obviously a final verdict can be given only after watching the movie. Still hats off to him and the team for raising the bar and trying such a risky movie. Looking forward to watch Ajay both as an actor and a director. Hoping that this movie is appreciated content wise and also proves to be a big blockbuster at box office. Now waiting for the music. Have heard that Ajay has also sung (with other artists) the Shivaay title track. Interesting. Go Shivaay and destroy whoever comes in your path !!! This movie looks more on action but low on content.. This will flop very badly…. Ohh my god…. What a trailer…. Masterstroke by ajay sir wow…. best trailer of the year for me_/\_ BGM was a big disappointment but VFX just overshadowed Ajay’s dialogues too!! loved totally.